Scottscope: Yuen Woo Ping Spins The Colorful Tale Of A "True Legend"
Yuen Woo Ping Spins The Colorful Tale Of A "True Legend"
Western audiences have been trained to value relative realism above all else, even at the sake of fun and whimsy. Whether they realize it or not, this imposes somewhat rigid and artificial guidelines on genre film making. The quality of a stunt or effect is judged on how "real" it looks as opposed to whether or not it facilitates adequate suspension of disbelief. The same goes for explanations of the fantastic. Western genre fans often require that everything be supported by airtight physics and exact science, not realizing that this to can take the fantasy out of "fantasy". By contrast Eastern genre films have always remained stubbornly and comfortably in the land of make believe. True Legend tells the story of General Su Can (Vincent Zhao). After rescuing a prince from certain death, Su is awarded a governorship. In order to assuage the envious feelings of his half brother Yuan (Andy On), Su requests that Yuan be granted the title instead. Su leaves his military career behind, opting to become a family man instead. He marries the beautiful Ying (Zhou Xun) and fathers a son named Feng (Li Zo, Suen Hanwen). The three live in relative tranquility while Su trains vigorously in the art of Wu Shu. A vengeful Yuan returns from his tenure in the military to take his place as governor. He kills Su's father and holds Ying and Feng hostage. Su confronts Yuan but is soundly defeated, as Yuan has mastered a supernatural martial arts technique known as the "Five Venoms Fist". Yuan casts Su's limp body into the river. A grief stricken Ying dives after him, leaving the young Feng at the mercy of his crazed uncle. Ying nurses Su back to health in relative seclusion. As his body recovers, he resumes training in hopes of one day defeating Yuan and rescuing his son. During his daily workouts he begins to wander into the forest. He returns every evening with fresh bruises and injuries and claims to be training with the Wu Shu God (Jay Chou) and an old drunken sage (Jay Chou). Ying is made aware of the possibility that Su may indeed be going mad. Su insists that his sparring matches with mythical figures are quite real, and continue to venture daily into the forest in hopes of defeating them. Then and only then can he go about the business of rescuing Feng and exacting justice on his half brother. 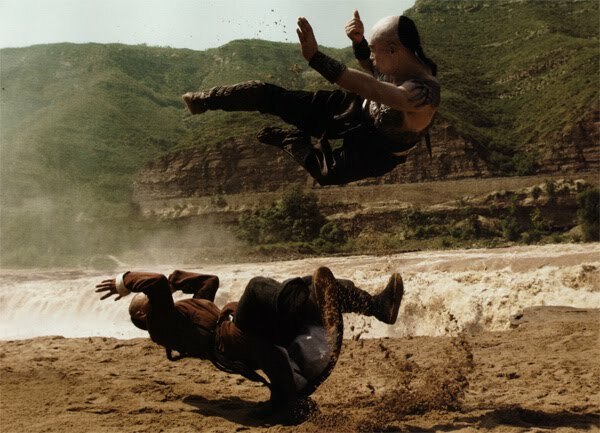 True Legend is the latest wire assisted marvel directed by the great Yuen Woo Ping, who has lent his martial expertise to many a western blockbuster. Here, unrestrained by Hollywood suits or the cultural differences of the west, he constructs a colorful and vibrant fairy tale. While not without its share of bloody violence, there is a certain lightheartedness that permeates True Legend. As melodramatic as it is, it never takes itself too seriously. The third act seems to belong to a wholly different film, and viewers may find themselves thinking that they missed something. The transition is a bit rough, but once things settle a bit the closing act emanates a charm all its own. The theme of boorish and arrogant westerners intruding on the eastern world and showing disdain for both China itself and "Chinese Boxing" are introduced. While Ip Man 2 opts to do an eastern variation on the Rocky formula, True Legend remains steeped in more obviously mythic lore. Yuan is a great villain. He has the appearance of a Mortal Kombat character. He has scaly armor sewn into his skin, and the deadly "Five Venoms Fist" allows him to infect an opponent with a potent toxin simply by touching him. This supernatural ability adds real tension to the fight scenes. Not only do you not want this guy to strike you, but you can't afford to even let him touch you. In the context of the film, the character works well. His back story gives him solid motivation and his actions are believable. It would be nice to see some truly convincing CGI in this sort of production. 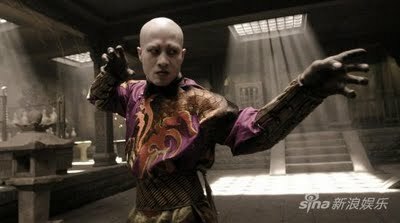 The FX work on display when Yuan uses the "Five Venoms Fist" is adequate, but the virtual stuntmen during the opening battle scenes continuously threaten to pull the viewer right out of the movie. The fantastical confrontations with the God of Wushu also have a glossily transparent sheen that ultimately proves distracting. From a technical standpoint, this is the only element that's lacking. The fight scenes are shot in medium shots with lots of rapid movement, giving the action a comic panel feel. The sound FX give each blow impact. All in all the approach has a very 90's feel, harking back to when such films were still relatively new to western eyes. The set pieces toward the end are inventive, combining elements of a three ring circus with that of "tournament"films in which fights take place in an arena in front of an audience. Special mention should be given to the final confrontation between Su and Yuan, which takes place in the shaft of deep well. 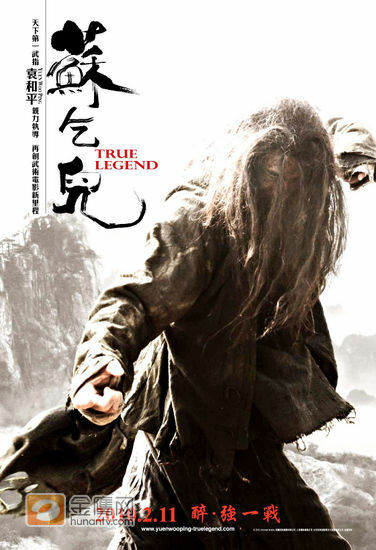 True Legend is one of the more enjoyable Martial Arts fantasy pictures to emerge in recent years. It would be right at home during the golden age of the genre, when bootlegged versions of Hong Kong classics where washing up on Western shores with regularity. It gives the imagination a good workout, and takes viewers on a ride through a world where all things are possible. It's a place that your inner child will want to visit again and again.